Elementary OS, the most beautiful linux desktop is getting its next version Freya. Elementary OS is built upon the codebase of Ubuntu and they are using their own desktop interface called pantheon. Elementary OS team now announces second beta of their upcoming release codenamed ‘Freya’. This beta is coming after six months from the first beta release. Current stable version of elementary os is Luna, which was based on Ubuntu 12.04. 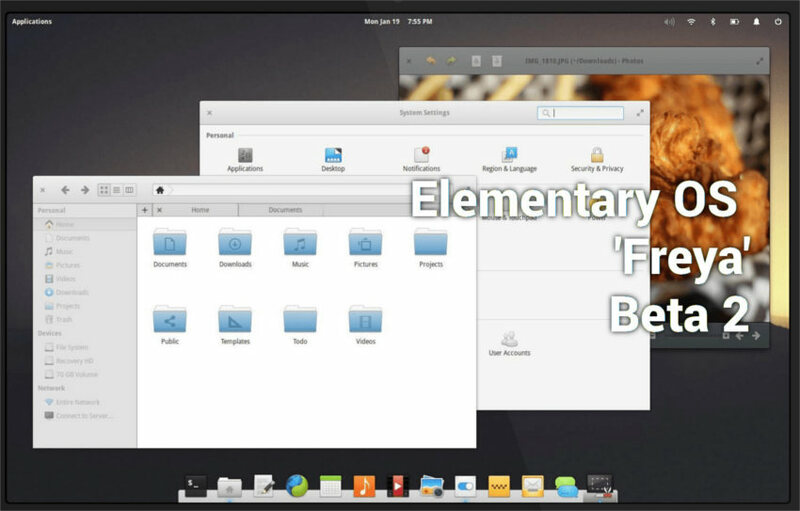 This is the final beta release of Elementary OS Freya. The team says that the next release will be a RC1 release candidate, which will be a ‘cleanup and details release’ where amongst other things, translators will help ready the release for worldwide consumption. There are also new settings panes for configuring the behaviour and frequency of ‘Notifications’ and setting up/adjusting the built-in ‘Firewall’. Other changes in this beta release are new Calculator and Video apps, which help bring basic functionality up-to-spec. Updates to the Calendar, Photos and ‘Switchboard’ system settings apps add more finesse to elementary’s in-house roster of apps. For a full list of changes, check out this page on Launchpad or better yet, go download Freya Beta 2 from the new Beta website!